When I was a new mom, I carried an overloaded diaper bag with me everywhere I went. It was heavy and a little tacky. By baby #2, I had paired down quite a bit but I had 2 babies to pack for. Once I had my third baby, I learned it was plenty to stick to just the basic, most essential, items. Now, there are only 5 items I carry along with me and my little one. This checklist makes it quick and easy to get out the door while still having everything I need for most situations. 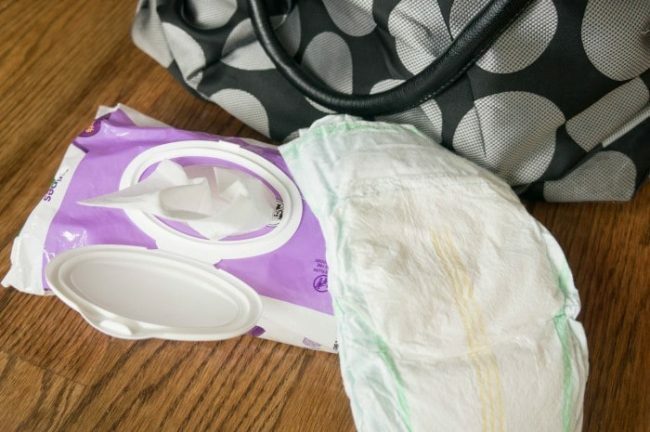 A couple extra diaper bag tricks take care of all the other situations, helping me stay ready for anything, without toting the whole house along with me. This post is sponsored by Beech-Nut. All opinions are my own. Diapers – Stick to just what you’ll need, 2 or 3 are usually plenty. Wipes – These are so helpful for everything, from dirty hands to messy bottoms and cleaning off a binky. Snacks – There is not much worse than a hungry baby or toddler. Snacks are essential for taming even the biggest tantrums. 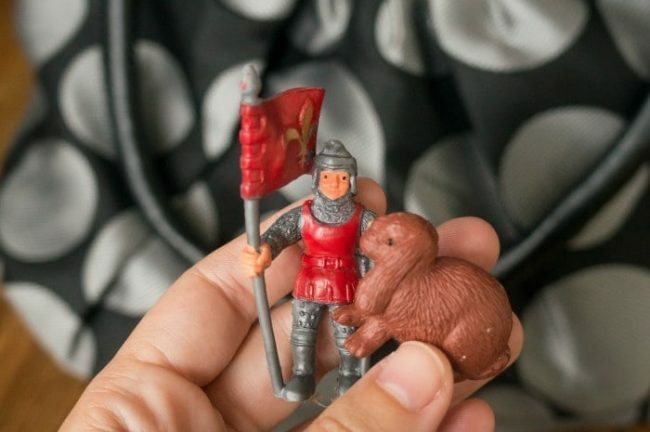 One Small Toy – Keep a small toy in your bag that is special and not played with at home. It can quickly diffuse a budding dispute with your strong-willed toddler. For a baby, choose a teether or mommy necklace to give them something to play with or soothe them. 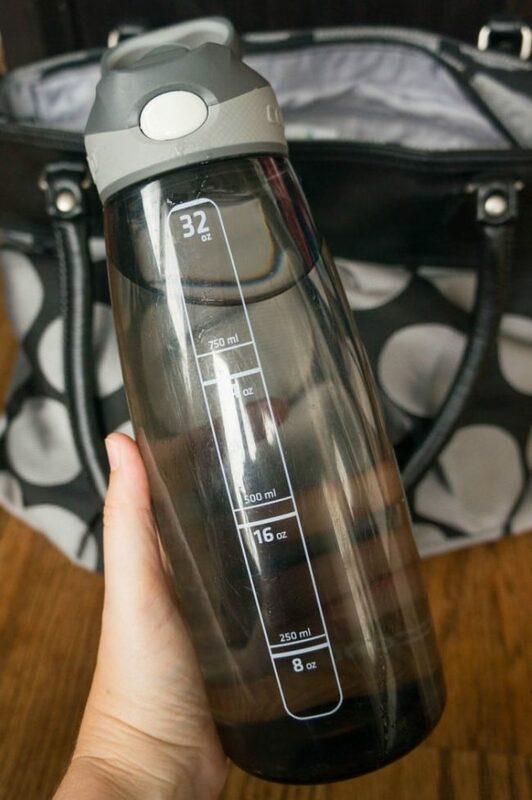 Water Bottle – Keeping a water bottle for yourself can pull double duty for both you and your youngster. Water can help clean up messes, cool them down, keep them hydrated, or just be mesmerizing to play with. *Binky – If your baby loves their pacifier, I would absolutely consider that as one additional essential! My babies never took to them. Use a Purse – Ditch a traditional diaper bag. A purse is more stylish, comfortable to carry, and keeps you from feeling frumpy. Size up a size or two from whatever purse size you traditionally choose, and you’ll have plenty of room for both your stuff and your baby essentials. Backseat Car Organizer – Keep extra supplies that you may need in your car so they are always on hand. Include extra diapers, toys, changes of clothes for both mom and baby, diaper changing foldout pad, first aid kit, snacks and water, and a snuggle blanket. Pull-out Pouch – You can corral your essentials, or baby’s, into a zipper pouch inside your diaper bag. 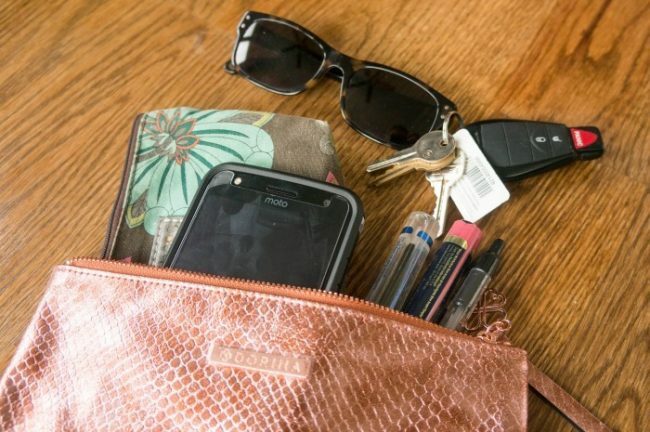 Then, it is easy to grab your essentials out of the diaper bag for a night out and keep your babies necessities with the sitter. 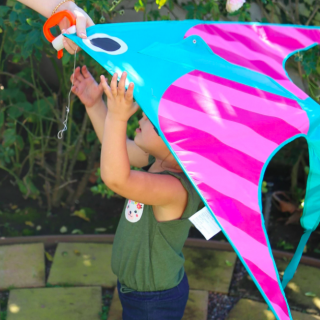 Or pull out all your little one’s essentials to drop off with the day care provider quickly. Grocery Bags – Keep a couple of extra grocery bags in the car to store the unexpected. You can add a stinky diaper and tie it off to minimize smells until you can make it to a trash can. Use them to stash clothes from a car sick episode, blowout diaper, or potty accident. Collect the extras that fill up the car easily to bring them back inside. Or use your extra bags to tote the library books from storytime. Create a Diaper Changing Station – Diaper changes can be stressful on-the-go, if you’re not prepared. 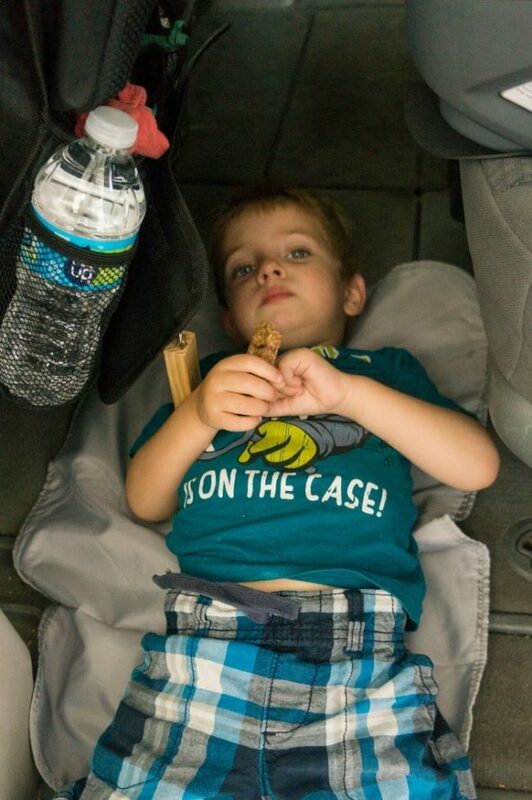 Create a space, if possible, in the car to quickly and easily change diapers. Have a changing mat and all your supplies ready to go for an impromptu diaper changing station. Don’t forget your hand sanitizer! 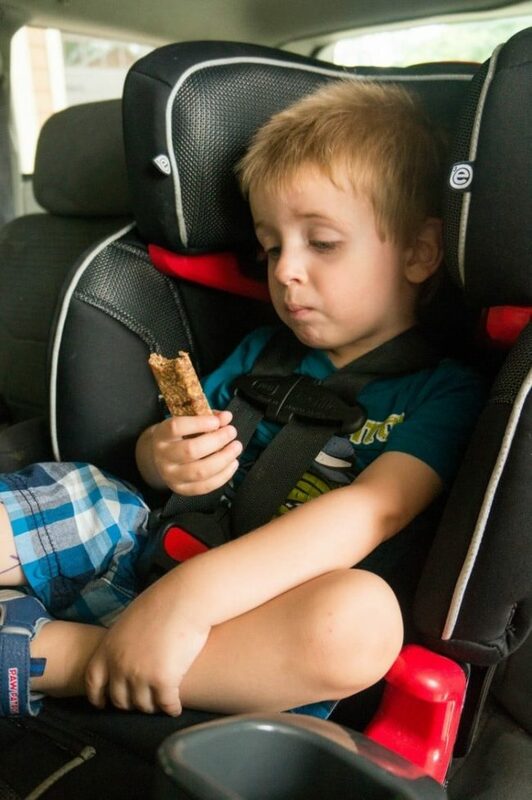 Keeping snacks on hand for your toddler is so important when you’re planning an outing. It’s the #1 thing I won’t leave home without. 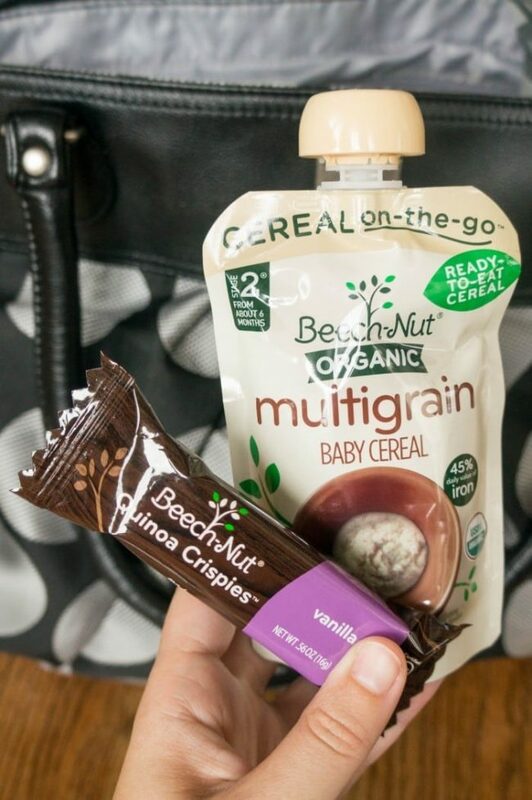 Beech-Nut makes it easy to pack along nutritious snacks for baby or toddler. Their new line of toddler snacks are made with simple, natural ingredients like fruits and veggies making them something I can feel good about serving my toddler. Sometimes, out-and-about equates to junk or fast food, but because I want to give my toddler a healthy start and teach him good eating habits, I make it a priority to keep my own snacks on hand so we don’t end up having to resort to other options. 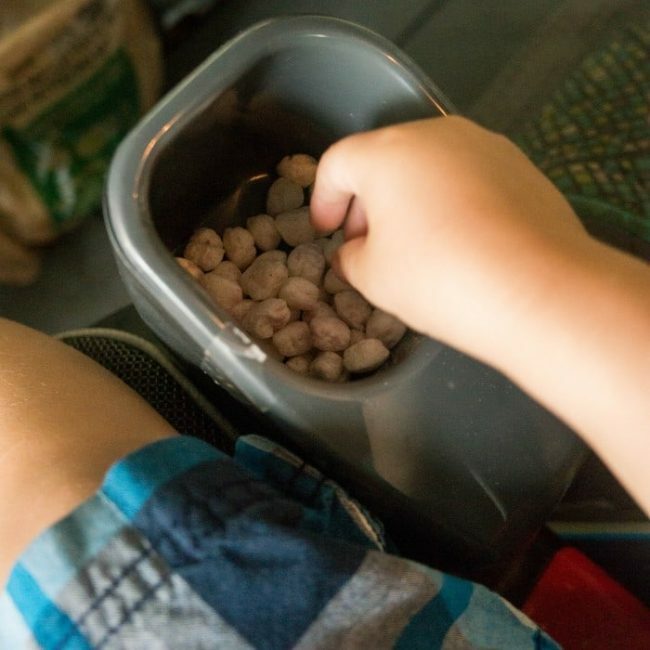 I like to take advantage of easy snacks to keep my little one happy while we drive, and then he’s ready to go play and explore once we arrive. and even an on-the-go Ready-to-Eat Cereal Pouch or pour and go baby cereal. 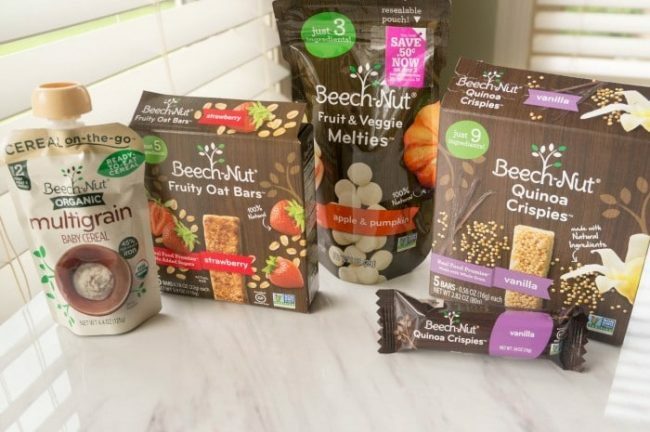 You can find all of these yummy new products from Beech-Nut at select local grocery stores near you. Visit beechnut.com/find to find a retailer near you. 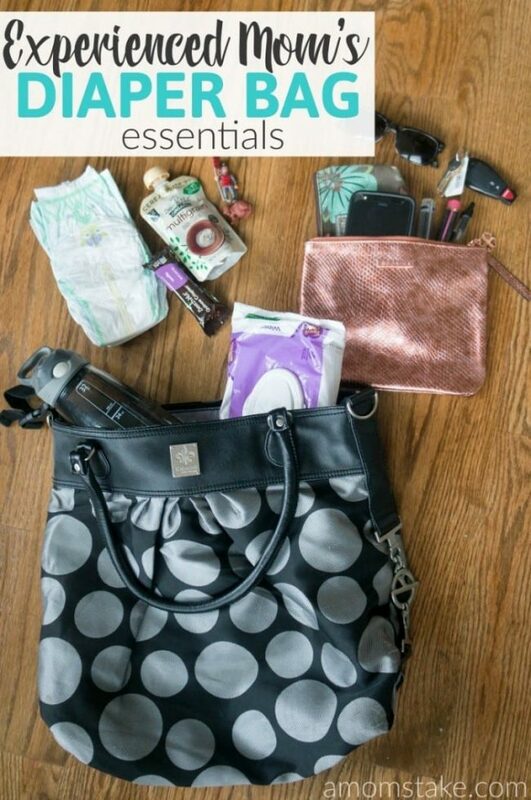 What are your top diaper bag essentials? Snacks are always in my bag no matter what! I’ve got to check these out for my kiddies! My kids are now teenagers but I always hated the bulkiness of the traditional diaper bag. Using a purse is definitely more stylish. It’s great that you threw the traditional diaper bag style out the window. I used to hate carrying those around when I would nanny for other people’s kids. Just because you have kids in tow, doesn’t have to mean you have to carry the ugliest bag ever. This is definitely the way to go! We buy Beech Nut products in our household and we don’t even have kids, their bars are so great for on the go! I’ve found sparkle bottles work great to diffuse impending tantrums- I don’t have kids of my own, but I have nieces and nephews this will come in handy with. I am past the diaper stage but this was a fun and interesting read. I will tell my siblings about the Beach Nut snacks that have changed since my kids were small. I love this post! Sure you need diapers. You also need snacks and some toys and a few other things, too. It’s not just diapers and baby wipes! Perfect! Seasoned moms know that diapers bags need a whole lot more than diapering supplies. Love it! 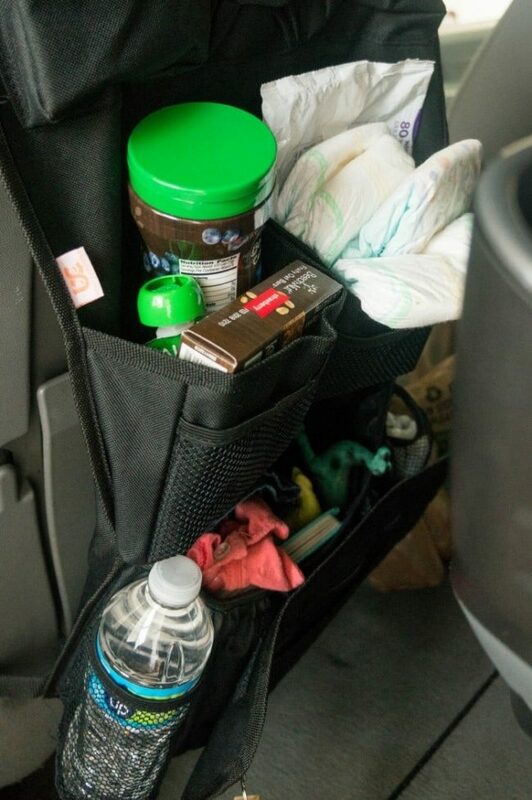 When I was a first time mom, my diaper bag was jammed packed full of things I did not ever use…. Now as a seasoned mom the bag is just with essentials, like yours.